Discover the awesome power of crystals! 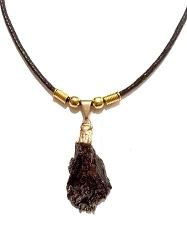 The natural rough cut black tourmaline stone pendant is a one of a kind beautiful focal point for any outfit. 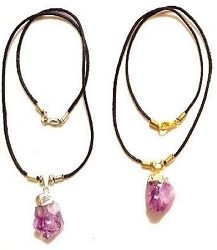 Natural rough black tourmaline stones vary slightly in size and shape, no two are ever the same. 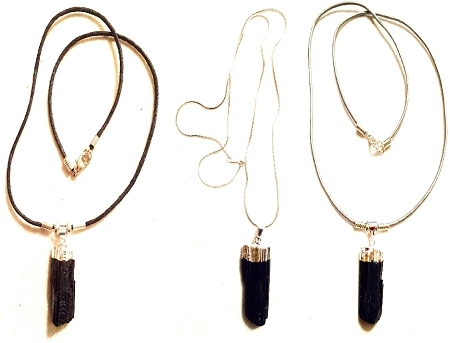 These black tourmaline pendants measure approximately 1 1/4" to 1 1/2" in length including the top loop. 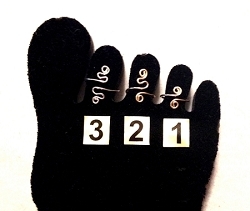 Each necklace comes gift boxed. 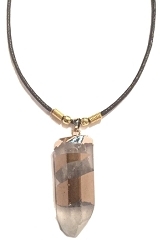 The handmade genuine black tourmaline rough cut stone pendant necklace of your choice comes with a 20" cord available in black, navy, brown or silver with a lobster clasp closure. 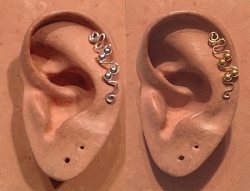 If you would like a longer or shorter cord for your necklace, send us a message and we will make it whatever length you would like at no extra cost Each one is individually priced. 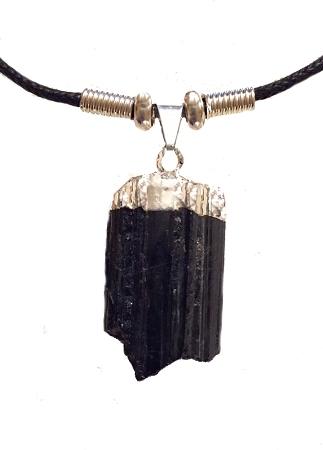 Black Tourmaline (opaque black) - Ancient magicians relied upon Black Tourmaline, known as Schorl, to protect them from earth demons as they cast their spells. Today this stone is still revered as a premier talisman of protection, a psychic shield deflecting and dispelling negative energies, entities, or destructive forces. 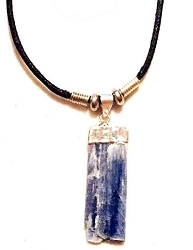 It guards against radiation and environmental pollutants, and is highly useful in purifying and neutralizing one’s own negative thoughts and internal conflicts, and turning them into positive, usable energy.